Welcome to COHHIO’s 25th Anniversary Conference! Monday Morning Plenary (9:00 – 10:30 am): COHHIO Executive Director Bill Faith will open the conference Monday morning with a look at the past, present and future of the fight to end homelessness in our state. 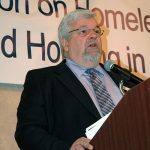 Bill has led COHHIO since the Ohio Coalition for the Homeless and the Ohio Housing Coalition merged in 1994, and has been instrumental in modernizing efforts to end homelessness both in Ohio and nationally. Bill has also served as Bill has served as Chairman of the National Low-Income Housing Coalition (NLIHC) and President of the Board of Directors for the National Coalition for the Homeless. 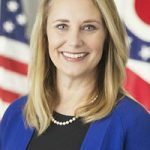 Monday Lunch Plenary (12:30 – 1:15 pm): Lydia Mihalik, the new Ohio Development Services Agency Director, will discuss the agency’s role in advancing Gov. Mike DeWine’s efforts to support and protect vulnerable children. 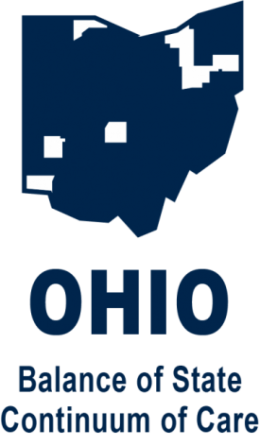 ODSA is charged with administering state and federal funding for homeless services, affordable housing, and community development programs throughout Ohio. Stephen Brown, Director of Preventive Emergency Medicine at the University of Illinois Hospital and Health Sciences System – housing is effective medicine for some hospitals’ costliest patients. Tuesday Lunch Plenary (12 – 1:30 pm): Amanda Andere, CEO of Funders Together to End Homelessness, will discuss the growing momentum in the philanthropic community to fight homelessness. Her outspoken advocacy inspires funders to see the systemic, underlying causes of poverty and homelessness rather than focusing merely on specific outcomes in individual programs. 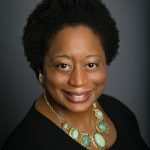 Amanda has over 15 years of experience in the nonprofit and public sector as a leader committed to addressing social justice, economic opportunity, and security through advocacy for systemic change. She is also a Co-Chair of A Way Home America, a national movement to end youth homelessness, and serves as a member of the steering committee for The Campaign for Housing and Community Development Funding. Throughout Monday and Tuesday, attendees can choose from over 30 workshops on a wide variety of subjects presented by these and other experts working on the front lines and behind the scenes to tackle homelessness and housing insecurity. During Wednesday’s Housing Institute, we will host three intensive, full-day sessions that delve more deeply into the subject matter. COHHIO’s organizational members get a $50 discount off every employee’s conference registration. Join COHHIO or renew your organization’s membership – visit the membership page on our website, or pay membership dues when you register for the conference online.